With all of the excitement about the new Storybook Circus soft-opening in Magic Kingdom in Walt Disney World, Florida, I’ve been thinking about our last visit to Fantasyland. Truly, we have a tendency to avoid Fantasyland when we visit MK. Now that our kiddo is older, she just isn’t interested in the classic rides. 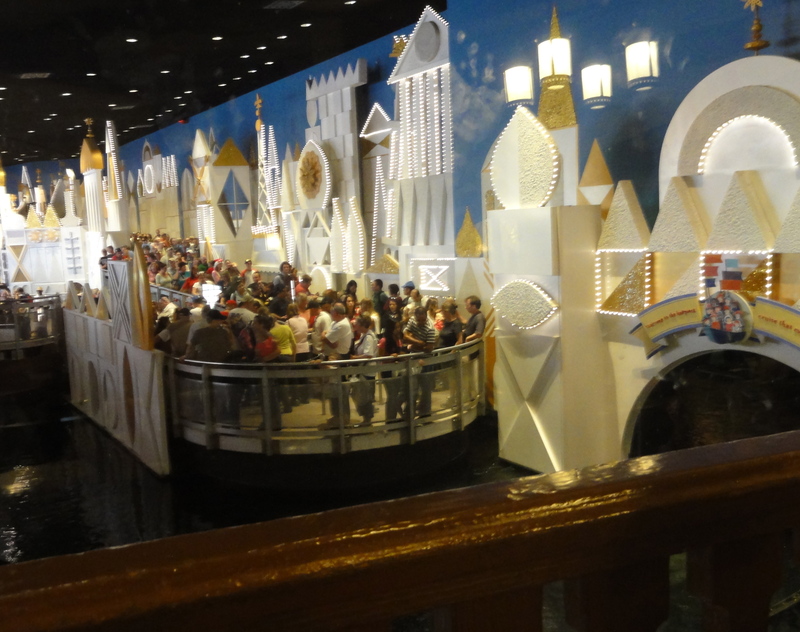 But on our last visit, I pushed the issue because I really wanted to ride Peter Pan’s Flight, and none of us have ever been on It’s a Small World. Really. We wandered over from Tomorrow Land to Fantasyland right around lunchtime. The food choices were slim in that area with all of the construction going on, and we really wanted to sit down. So we ended up in Pinocchio Village Haus. It was crowded and everyone was a little damp from a mid-morning shower, and with all of the small children the atmosphere was basically akin to a mall food court, with some decent theming. The cast members were doing their best to keep it clean. 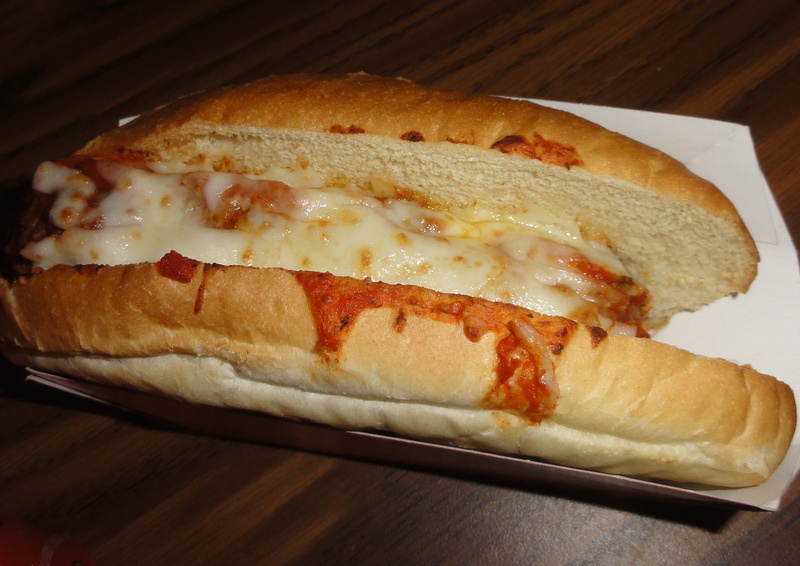 We ordered a meatball sub, pasta with meatballs, and breadsticks with marinara sauce. Frankly, the food was almost inedible. The sauce had an awful acidity that made everything taste like a tin can. The meatballs tasted like typical frozen meatballs, and would have been OK except for the yucky sauce. The pasta was so overcooked it was falling apart. 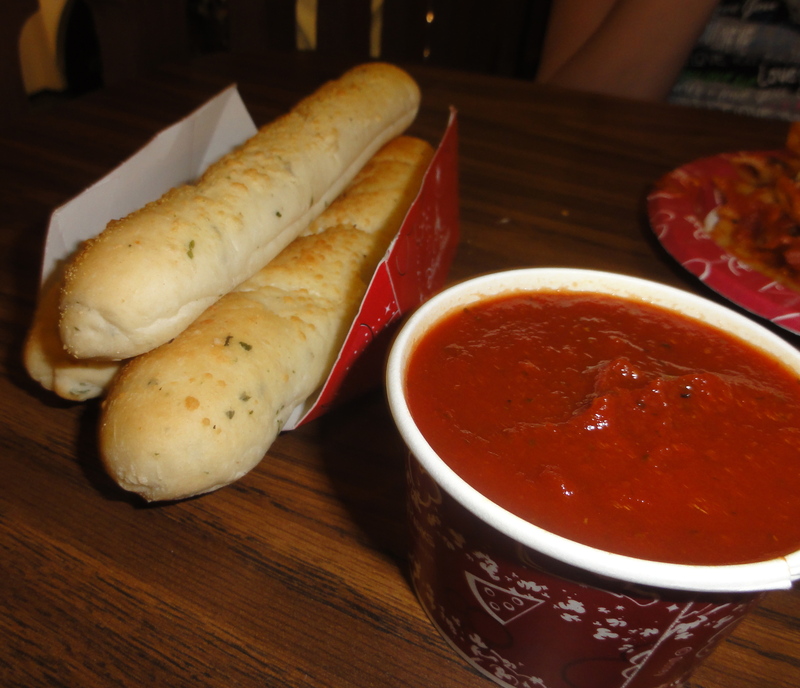 Breadsticks were OK as long as they didn’t hit the sauce. So there you have it – my first 1 Mouse review. Avoid Pinocchio Village Haus. 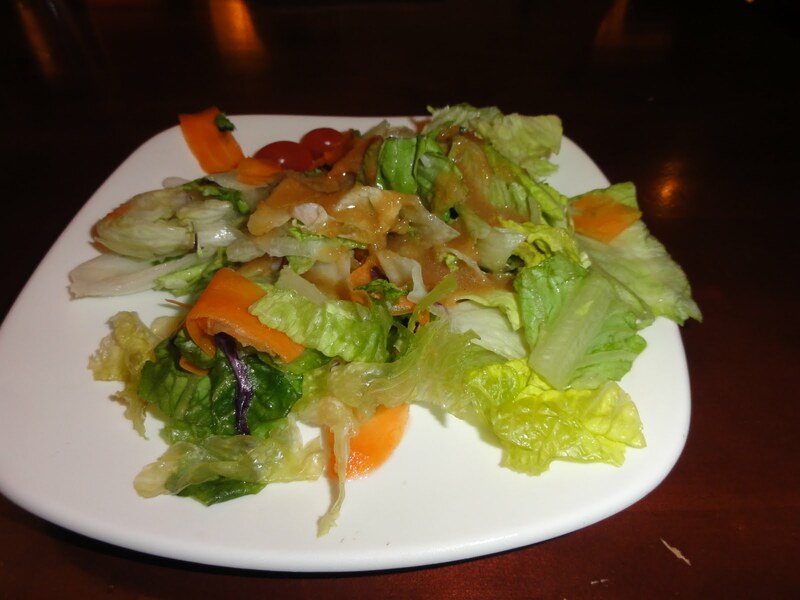 Keep walking and eat lunch at Columbia Harbor House. 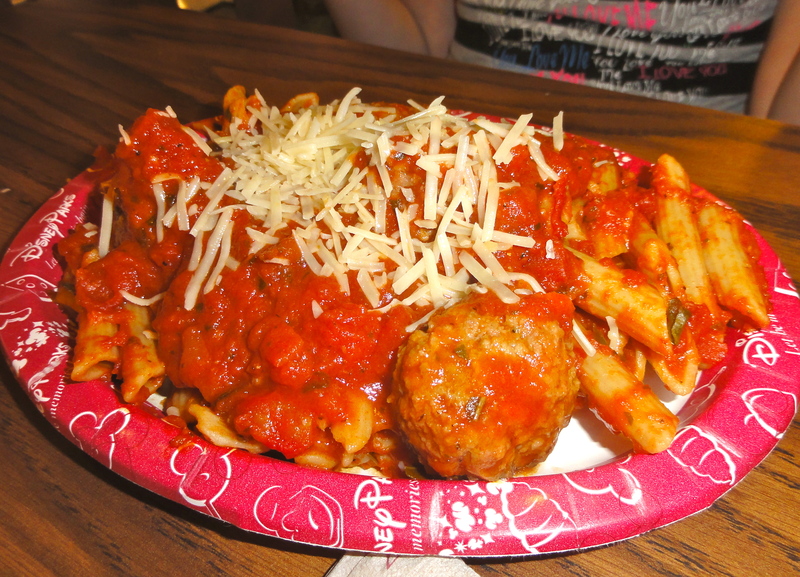 Here’s to hoping that the new Storybook Circus offers better dining options! I’m sitting in my living room watching Tropical Storm Irene (downgraded from hurricane status a few hours ago) wreak havoc with my vegetable garden. We don’t get weather like this in New England very often and are not used to dealing with it. As a result, every loose branch and unsecured piece of patio furniture finds a way to come loose and take out the power lines. In Orlando however, high winds and rain seem to be an almost daily occurrence in the late summer, and is taken in stride. The beauty of the Disney Downpour is the regularity and predictability of the late afternoon rain, and that it almost always clears up after an hour or two and leaves the early evening cleaner and slightly cooler. During our last trip to WDW we were caught in such a storm while touring through Epcot’s World Showcase. We ducked into the American Experience pavillion to put on our rain ponchos (a necessity for your pack!) and drink some Frozen Cokes. Since we had a couple of hours before our dinner reservation at Tokyo Dining, we decided to spend some time in the Japanese Anime exhibit before heading up to dinner. The exhibit is very cool whether or not you like anime. But if you or your kids are into Miyazaki movies, Pokemon, or Hello Kitty, it’s a little slice of heaven. It was still pouring when we left the exhibit, so we ducked into the back entrance of the giant Mitsukoshi department store. 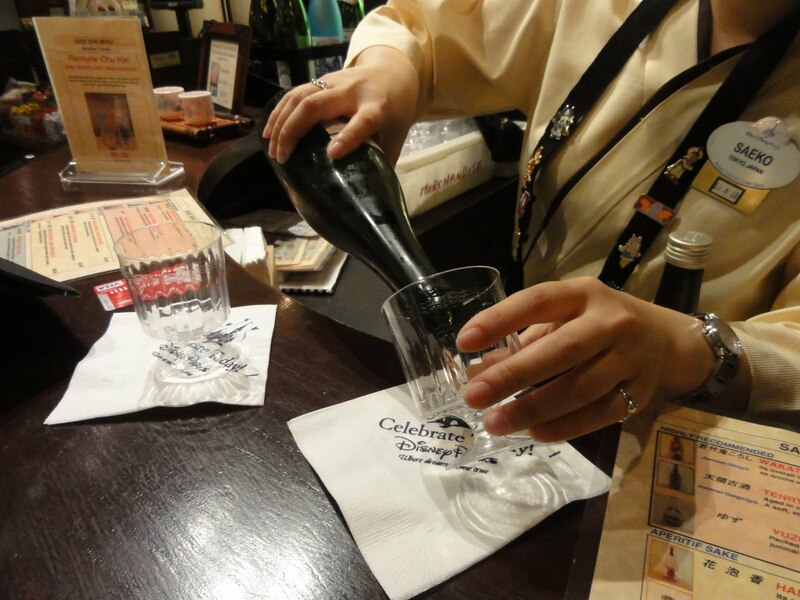 Hidden in the back corner of this gargantuan store is a very nice surprise – a Sake bar! I’m guessing it was a combination of the thunderstorm, the sake, and being at WDW, but it had one of the friendliest, happiest bar crowds I’ve ever encountered. 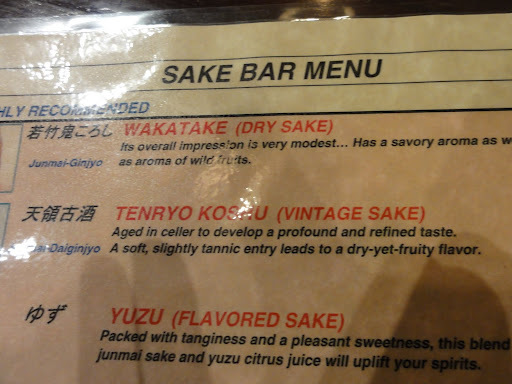 Here’s a portion of the menu, which I snapped to remind me which sake we ordered so that I could buy it later. There are around ten different sakes available, plus plum wine. I usually prefer unfiltered sake, and there is one on the menu. But I’ve tried that brand before, and it’s not my favorite. 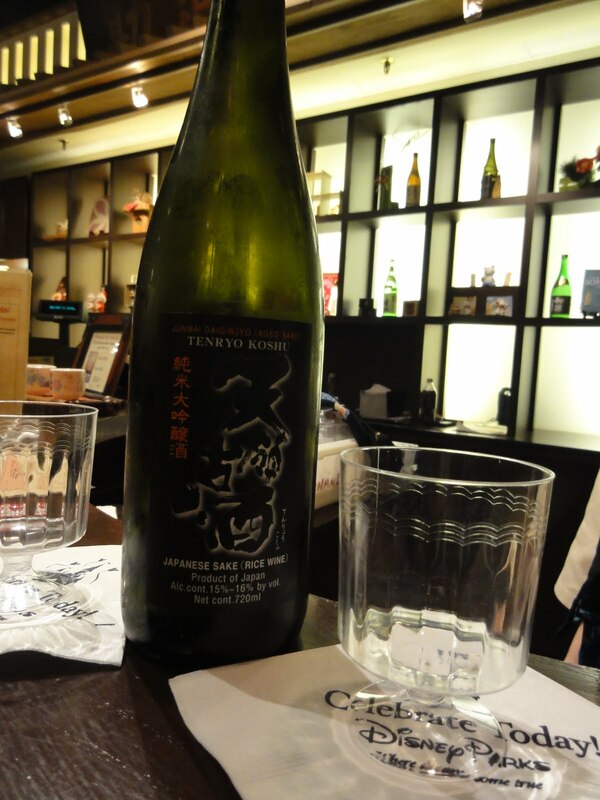 So, I chose Tenryo Koshu, the vintage sake, while my drinking companion chose the yuzu flavored. Here’s the very sweet bartender pouring my sake, the bottle, and a snap of the finished product. 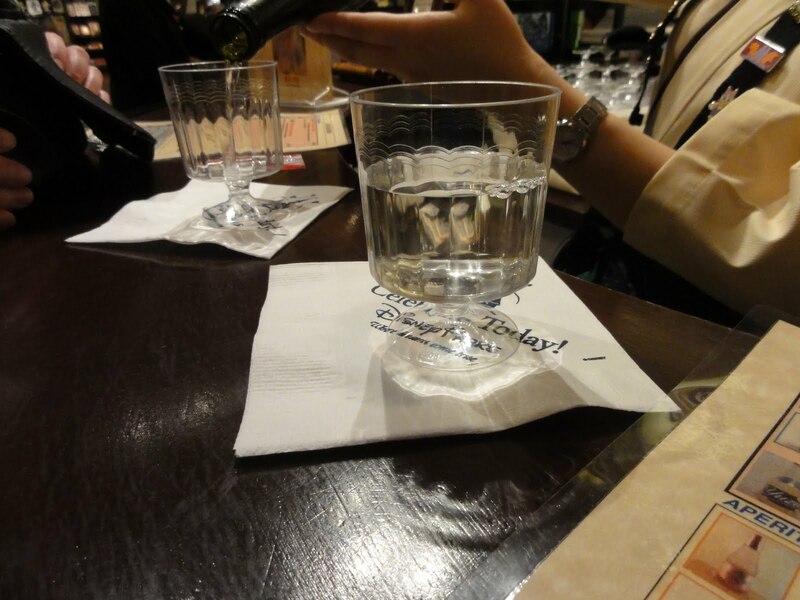 The vintage sake was lovely! Complex, refreshing, and unlike any I’d had before. The yuzu flavored was sort of like a sake wine cooler. I wouldn’t recommend it, unless you really just don’t like sake. But then, why bother? Sadly, the food at Tokyo Dining was not nearly as fun a find. 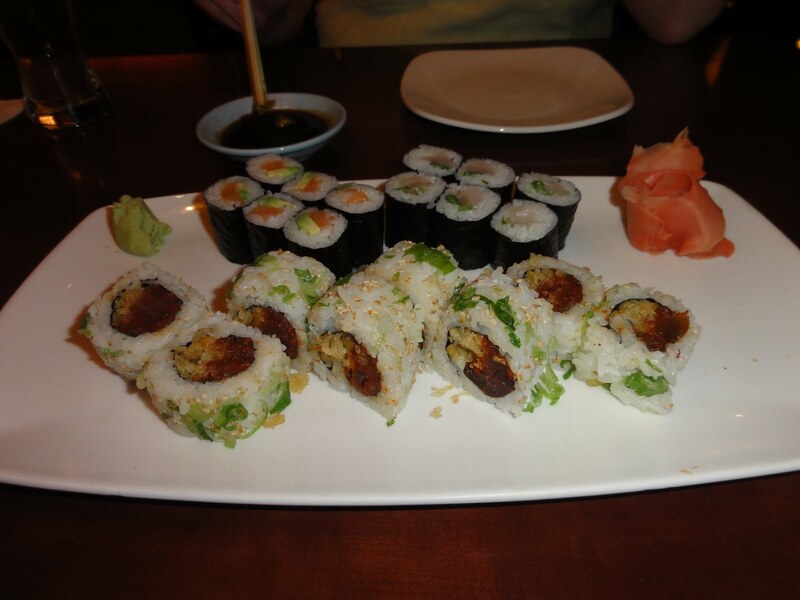 Mediocre, mall-food-court grade sushi, and salad that anyone should be embarrassed to serve. The best thing we ate at Tokyo Dining, oddly enough, was dessert. The green tea mousse is truly outstanding. Sorry, no pic. My kid attacked it too quickly. Next trip, we’re planning to check out Kimono’s in the Swan for sushi, but maybe will stick with Yakitori House at Epcot for a snack to go with our sake.